1-CD with 12-page booklet, 21 tracks. Playing time approx. 50 mns. Billy was a big country star in the Seventies, but these are his early rare and rockin' sides for Columbia. 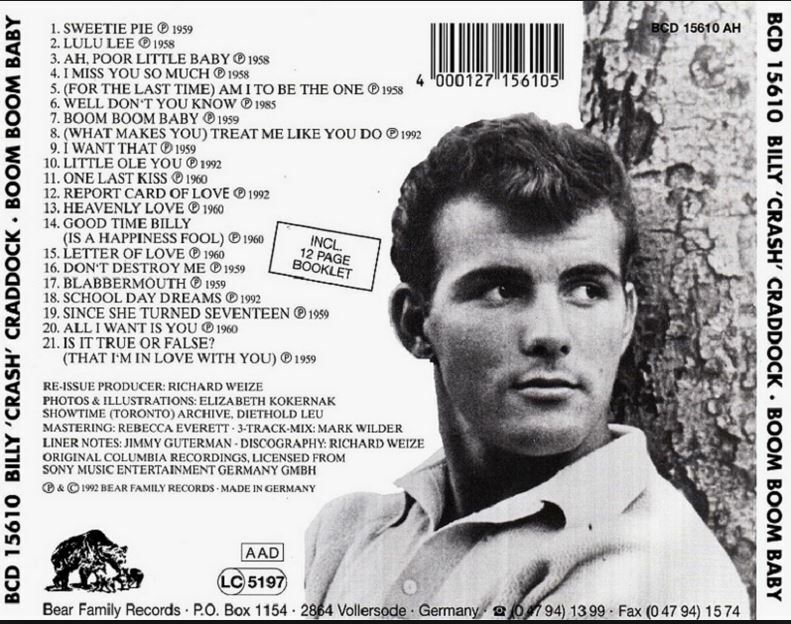 Recorded in Nashville between 1958 and 1960 when Billy was a young rockabilly just arrived from North Carolina. The 21 tracks on this set include Sweetie Pie, Lulu Lee, A Poor Little Baby, Am I To Be The One, Boom Boom Baby, Report Card Of Love, Blabbermouth, and Since She Turned Seventeen. 21 Is It True Or False? 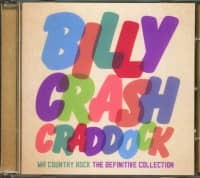 Reportedly a distant cousin of Vincent Eugene Craddock aka Gene Vincent, Billy 'Crash' Craddock was born on June 16, 1939. He acquired his nickname as a halfback in high school, crashing into linemen who were twice his size. Growing up, he pantomimed Grand Ole Opry shows in the family's barn with a broomstick as a microphone, alternately pretending he was Hank Williams, Faron Young, or Carl Smith. Billy, his brother Ronald, and two others formed a group, the Four Rebels, and came into contact with Fred Koury, who owned the Greensboro Plantation Supper Club. 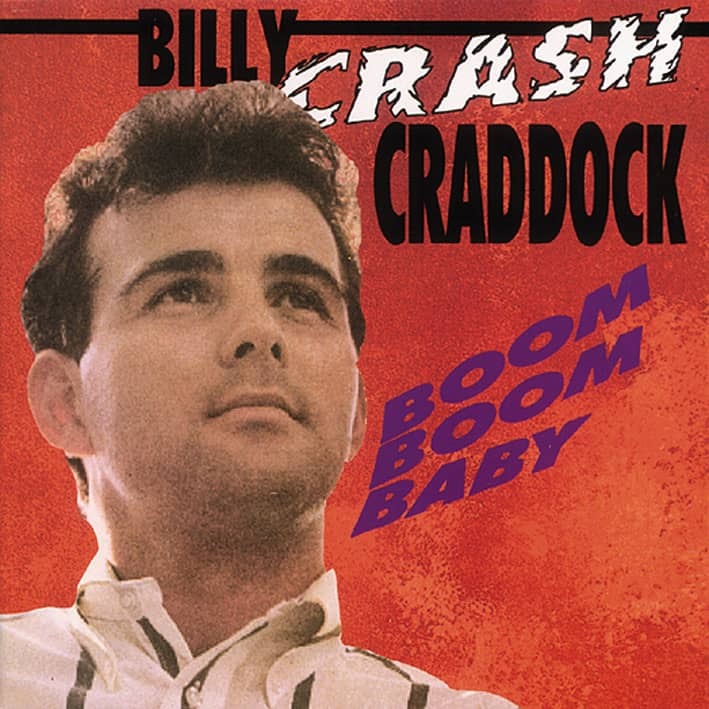 Koury became Crash's manager, and the first record, Smacky Mouth, was released as Billy Graddock (sic) on a local label, Sky Castle Records, in September 1957. Billy's next stop was on Colonial Records in Chapel Hill, North Carolina. His second record came out in November that year. In early 1958, Billy was signed to the Date subsidiary of Columbia Records after one of the label's promo men caught his act. His third session yielded his biggest hit on Columbia, Boom Boom Baby. Crash wasn't the first to record it. Huelyn Duvall's version was cut it in 1957, but wasn't released until after Crash's single. 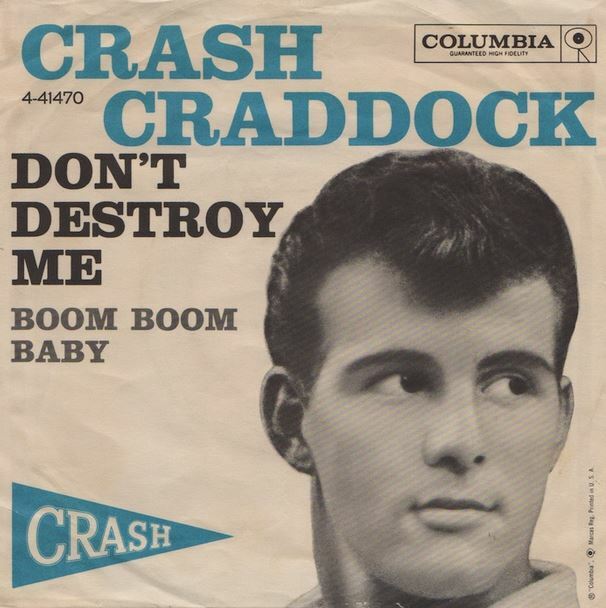 It appears as though an American, Alan Heffernan (the righthand man of Australian promoter Lee Gordon), saw a film clip of Crash doing Boom Boom Baby, and showed it on Australian TV. "I was working at the Plantation Supper Club," Billy told Jimmy Guterman, "and Fred Koury said, 'How'd ya like to go to Australia for $1000 a week plus expenses?' I wasn't making any money in Greensboro, so I flew out there with Bobby Rydell, the Everly Brothers, Santo & Johnny, and the Diamonds. There were 5000 kids waiting there. I had the number one record, and I didn't even know it." Our second selection, Well Don't You Know, was a cover version of a record on Jackpot by George Weston. 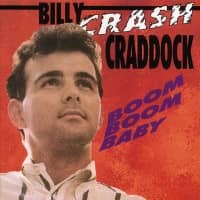 For more on Crash, including his reflections on his 1970s country stardom, see our CD, 'Boom, Boom Baby' (BCD 15610). Just recently, the 16th Street Bridge in Greensboro, North Carolina was renamed in honor of Billy 'Crash' Craddock. You might think that naming any roadway (least of all a bridge) 'Crash' isn't an especially good idea, but at least it signifies that Craddock has been one of Greensboro's most illustrious citizens. He says he is a distant cousin of Vincent Eugene Craddock aka Gene Vincent, and perhaps that's so. Born on June 16, 1939, Craddock got his nickname as a halfback in high school, crashing into linemen who were twice his size. Growing up, he pantomimed Grand Ole Opry shows in the family's barn with a broomstick as a microphone, alternately pretending he was Hank Williams, Faron Young, or Carl Smith. Billy, his brother Ronald, and two others formed a group called the Four Rebels. At some point, they came into contact with Fred Koury who owned the Greensboro Plantation Supper Club. Koury became Crash's manager, and the first record Smacky Mouth was released as Billy Graddock (sic) on a local label, Sky Castle Records, in September 1957. Billy's next stop was on Colonial Records in Chapel Hill, North Carolina. His second record came out in November that year. The mastering for both was done by Columbia Records, and in early 1958, Billy was signed to the Date subsidiary of Columbia Records. Ah, Poor Little Baby was written by a local songwriter, Ruth Falk, with a half share assigned to Koury. It did sufficiently well for Adam Faith to cover it in England. Chart success at home during the 1950s was limited to one fleeting hit, but he became a big success in Australia after Alan Heffernan, righthand man of Australian promoter Lee Gordon, saw a film clip of Crash doing Boom Boom Baby, and showed it on Australian TV. 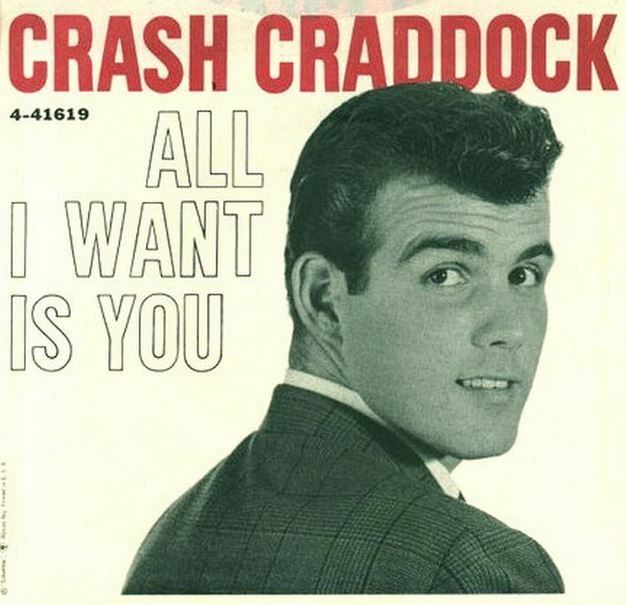 Crash was booked to headline a tour over Duane Eddy, Santo & Johnny, and The Diamonds. He was a bona fide Antipodean star, and then, in the 1970s, a by-God country star back home. For more, see our CD, 'Boom, Boom Baby' (BCD 15610). Customer evaluation for "Boom Boom Baby"